B-I-G to the BANG is back on the KPOP scene with a surprising bow via their fifth EP release in ALIVE, following up last year's fantastic TONIGHT. 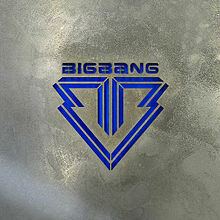 The "lead" single is titled "Blue" (in quotes because the group will be promoting several different songs from the project across their promotional period, rather than only featuring one -- a mentality that it seems only YG Entertainment can do truly successfully) and recently debuted at #1 on the Billboard KPOP Chart and the Korean Gaon Chart. The video was filmed here in New York City. "Blue," a breakup swooner, showcases a softer side to their party-time bad boy image I so often associate them with. My emotions are torn because I count on Big Bang to create a floor stomper (they are the big brother band to my girls in 2NE1, after all). Still, the subtlety applied in "Blue" is aptly chosen and chosen well. To just label it as a ballad would be a total misnomer -- its one of those midtempos that are pushed along by a steady, toe-tapping beat (and G-Dragon/TOP's requisite, albeit mellowed-out, rhyme lines). Tte result is very enjoyable lament, relatively unassuming and yet powerful in execution. It's hard not to be impressed by how effortlessly Big Bang can pull off any number of genres and have it still sound inheriently Big Bang. Quartet miss A, the most recent off the JYP (Wonder Girls, 2PM, 2AM) assembly line, have taught me that while the KPOP Idol World can at times be completely predictable and somewhat derivative, that doesn't mean a group can't surprise you effectively. Enter their latest release, "Touch", from their third EP of the same name. While I originally wrote off miss A for being a petulant younger sister to the already petulant 4minute (case in point: "Bad Girl, Good Girl" or "Breathe"), they had to go and make me eat my words with the English dancey single "Love Alone" and their 2011 big hit, the retro-esque "Goodbye Baby". "Touch" continues the retro feel (which is all the rage at the 'mo in Korea...well, it's kind of always the rage in Korea) coupled with a thematic horror feel (again, another fad in Korea, especially with girl groups - see T-Ara's "Lovey Dovey", Brown Eyed Girls' 'Sixth Sense'/Narsha's solo project, etc. etc.). While I do long for an original stance from a girl group with the power to pull it off (and miss A might just have the chops), "Touch" is an enjoyable fusion of that subtle darkness without feeling like a temporary costume change until a new "concept" is ushered in for the next single. "Touch" feels relatively organic and refreshingly sophisticated for the fashion-forward group, with the lush melody mixed with a harsher synth backdrop. A slightly harder dancey remix would be appreciated, but even still, "Touch" does the job to help further perpetuate miss A's staying power in the crowed KPOP marketplace. To be completely honest, I think "Touch" might be the weakest cut on the Touch EP, and that's really saying something. Side Note: I'm a bit surprised the album cut "Lips" was given to miss A over their big sisters in the Wonder Girls. The ditty mixes elements of dancefloor and dubstep with a slight salsa swing and was produced by American producer Fuego (who recently gave us Chris Brown's "Turn Up the Music" -- in fact, it sounds quite a lot like it), and was co-written by one of my favorite slept-on soloists, Nikki Flores. Hey JYP, if you want an English cut for miss A for US release, this one is it.